"Emptying the liver bile ducts is the most powerful procedure that you can do to improve your body's health." Hulda Clark, PHD. Before embarking upon any SELF-HELP cleanses, consult with a medical professional. The Editors chose, as examples of cleanses, to use Hulda Clark, PHD's cleanses. Dr. Clark, drawing from the wisdom of cleanses that has devolved down through history, created kidney, antiparasite, and liver cleanses detailed in this section. Dr. Clark strongly believed in the power of the liver cleanse, bidding us to do a liver cleanse twice a year. For these cleanses as well as many other cleanses that she advocated, please go to her book, The Cure and Prevention of All Cancers, before committing yourself to any cleanses. Good luck with these cleanses as well as any other cleanses that you find along your healing journey! The importance of the kidneys to filter out toxins can not be emphasized enough. There are many wonderful kidney cleanse recipes. For this section, we have chosen to share Dr. Hulda Clark's kidney cleanse, drawn from the wisdom of classical kidney protocols. What is important to note is that before embarking upon any other cleanses, such as a liver cleanse, it is judicious to FIRST clean out the kidneys to ensure that these organs are working properly to accept the onslaught of the debris from other cleanses. THUS, THE ORDER OF THE CLEANSES IS VERY IMPORTANT. AND HERE IS THE FIRST CLEANSE: THE KIDNEY CLEANSE. ... And a special note of gratitude: Much of this summary is taken from the www.drclark.net website, created by absolutely wonderful volunteers who are doing honor to Dr. Clark's research. Thank you! Here is Dr. Clark's note of caution on cleanses: "Be advised that every person is unique and may respond differently to the treatments described in this book. On occasion I have provided dosage recommendations. Again, remember that we are all different and any new treatment should be applied in a cautious, common sense way." And here is more general information on the kidney cleanse: "Dr. Clark noted that any edema or 'water holding', whether in lungs, arms or abdomen, also indicates a need to strengthen the kidneys. Black Cherry Concentrate, 8 oz. ​"HYDRANGEA ROOT (Hydrangea aborscens) - Was the North American Indian remedy for kidney and bladder stones. It expels and dissolves them. After three weeks, repeat with fresh herbs. 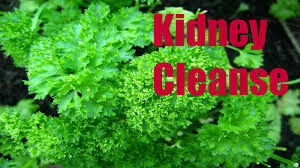 You need to do the kidney cleanse for six weeks to get good results, longer for severe problems." 1 tsp. up to a whole 1 oz. bottle of green Black Walnut Hull Tincture Extra Strength . Store tincture in the freezer. To ameliorate the taste of the Black Walnut Hull Tincture, 1 tsp. up to 1 Tbsp. fresh pomegranate, or 1-2 Tbsp. extra heavy whipping cream, or 1-2 Tbsp. maple syrup may be added. Dr. Clark wrote, "Freeze the tincture beforehand. It will not solidify and it stays green longer. Freeze the capsules to disinfect. But the cream and syrups can be disinfected by standing them opened in a shopping bag and putting ozonator hose in the bag beside them for ten minutes." CAUTION: "Always test a new herb first by trying 1 capsule or 1/4 tsp. liquid. Although reactions are very rare, be cautious." From www.drclark.net: "These herbs must be taken together as a single treatment within 1/2 hour (preferably within 5 minutes). But they should not be premixed because they interact with each other to destroy their potency. The 3 herbs (black walnut hull tincture, wormwood, and cloves) kill different stages; cloves kill eggs, wormwood kills cercaria, and the tincture kills adults. But, altogether, many escape to start their cycle all over in an immune depressed person. This is because dying parasites release their eggs immediately, to travel in your blood to some safe, out of the way place, like your inner ear, an eye muscle, or the crevice between the cerebellum and medulla. For this reason, you should take your daily parasite herbs together and if possible while you are zapping with at least a half hour more to zap. Plain regular zapping kills eggs and stages swimming in your blood." Remember: "It is only the green hull (of the black walnut hull) that has this amazing parasite-killing power. A few days after opening a bottle it may already be much darker and less potent. Use the one-serving (2 oz.) bottle to maximize potency and results. Store in freezer after opening." Beginner's Methods: "Use only drops of green Black Walnut Tincture, as described in earlier (Dr. Clark) books. You may use those if you are just preventing cancer or have very early cancer. In an extremely advanced case, where every hour of every day is precious, we will use 1 whole bottle in a single dose or as much as you can take comfortably." Detoxification Symptoms: "Now you will be killing many more parasites and you can expect the side-effects called: Detoxification Symptoms". ... If you miss half your meals for one day, have each food blended for you the next day, so you can drink it without tasting or chewing Add spices and digestive enzymes. Also expect to see all your symptoms get worse for two days. ... Do not try to weather the Flu and Salmonella symptoms. Then you feel dizzy and disoriented. Do not try to outlast a prion attack either. Sip birch bark tea all day long... Take hydrazine sulfate drops to keep yourself eating...And take melatonin and ornithine to help sleep." "ZAP DAILY A WEEK BEFORE (THE LIVER CLEANSE), OR GET THROUGH THREE WEEKS OF PARASITE KILLING BEFORE ATTEMPTING A LIVER CLEANSE. IF YOU ARE ON THE MAINTENANCE PARASITE PROGRAM, YOU ARE ALWAYS READY TO DO THE CLEANSE." HULDA CLARK, PHD. ​Hulda Clark, PHD, believed that, "Emptying the liver bile ducts is the most powerful procedure that you can do to improve your body's health." Dr. Clark wrote, "Cleansing the liver of gallstones dramatically improves digestion, which is the basis of your whole health. You can expect your allergies to disappear, too, more with each cleanse you do! Incredibly, it also eliminates shoulder, upper arm, and upper back pain. You have more energy and increased sense of well-being. It is the job of the liver to maek bile, 1 to 1 1/2 quarts in a day! The liver is full of tubes (bilary tubing) that deliver the bile to the large tube (the common bile duct). The gallbladder is attached to the common bile duct and acts as a storage reservoir. Eating fat, protein, or citric acid trigger the gallbladder to squeeze itself empty after about 20 minutes, so the stored bile finishes its trip down the common bile duct to the intestine." Many people have their bilary tubing choked with gallstones, manifesting with allergies or no symptoms at all. Gallbladder x-rays, etc. will not show the gallstones. "Typically they are not in the gallbladder. Not only that, most are too small and not calcified, a prerequisite for visibility on x-ray. There are over half a dozen varieties of gallstones, most of which have cholesterol crystals in them. They can be black, red, white, green, or tan colored. ... At the very center of each stone is found a clump of bacteria, according to scientist, suggesting a dead bit of parasite might have started the stone forming." More and more gallstones cause problems. "...The back pressure on the liver causes it to make less bile. It is also thought to slow the flow of lymphatic fluid. Imagine the situation if your garden hose had marbles in it. Much less water would flow, which in turn would decrease the ability of the hose to squirt out the marbles. With gallstones, much less cholesterol leaves the body, and cholesterol levels may rise. Gallstones, being sticky, can pick up all the bacteria, viruses, and parasite eggs that are passing through the liver. In this way, 'nests' of infection are formed, forever supplying the body with fresh parasite eggs and bacteria. No stomach infection such as ulcers or intestinal bloating can be cured permanently without removing these gallstones from the liver." Dr. Clark advised doing a liver cleanse twice a year. She wrote, "You can't clean a liver with living parasites in it. You won't get many stones. .... Zap daily a week before, or get through three weeks of parasite killing before attempting a liver cleanse. If you are on the maintenance parasite program, you are always ready to do the cleanse." AN EXAMPLE OF A LIVER CLEANSE : DR. CLARK'S LIVER CLEANSE INSTRUCTIONS - READ THE INSTRUCTIONS FROM www.drclark.net and THE CURE AND PREVENTION OF ALL CANCERS. . WARNING: INSTRUCTIONS ARE PRETTY PRECISE. DEEMED SAFE, BUT THERE MAY BE PROBLEMS IF DEVIATE FROM PROTOCOL. TO REITERATE, IT IS BEST TO CONSULT WITH A MEDICAL PROFESSIONAL BEFORE EMBARKING ON ANY CLEANSE! "Take no pills or vitamins that you can do without; they could prevent success. Stop the Parasite Program and Kidney Cleanse, too, the day before. Even stop zapping and taking drops. ... Ear a no-fat breakfast and lunch such as cooked cereal, fruit, fruit juice, bread and preserves or sweetening (no butter or milk). This allows the bile to build up and develop pressure in the liver. Higher pressure pushes out more stones. Limit the amount you eat to the minimum you can get by on. You will get more stones. The earlier you stop eating the better your results will be, too. In fact, stopping fat and protein the night before gets even better results. Finish eating by 12 noon with only sips later. 2:00 P.M Do not eat or drink after 2:00 o'clock. If you break this rule, you could feel quite ill later. Get your Epsom salts ready. Mix 4 Tbsp in three cups water and pour this into a safe jar. This makes four servings, 3/4 cup each. Set the jar in the refrigerator to get ice cold (this is for convenience and taste only). 6:00 P.M Drink one serving (3/4 cup) of the ice cold Epsom salts. If you did not prepare this ahead of time, mix 1 Tbsp. in 3/4 cup water now. You may rinse your mouth, but spit out the water. Get the olive oil and grapefruit out to warm up. 8:00 P.M Repeat by drinking another 3/4 cup of Epsom salts. You haven't eaten since two o'clock, but you won't feel hungry. Get your bedtime chores done. The timing is critical for success. 9:45 P.M. Pour 1/2 cup (measured) olive oil into the pint jar. Squeeze the grapefruit by hand into the measuring cup. Remove pup with fork. You should have at least 1/2 cup. You may use lemonade. Add this to the olive oil. Also, add Black Walnut hull Tincture. If you haven't gotten stones out in the last few cleanses, add citric acid to bring success. Also, using 2/3 cup water for Epsom salts instead of 3/4 can bring success. Close the jar tightly and shake hard until watery (only fresh citrus juice does this). Now visit the bathroom one or more times, even if it makes you late for your ten o'clock drink. Don't be more than 15 minutes late. You will get fewer stones. 10:00 P.M. Drink the potion you have mixed. Take 4 ornithine capsules with the first sips to make sure you will sleep through the night. Take 8 if you already suffer from insomnia. Drinking through a large plastic straw helps it go down easier. You may use salad dressing, syrup, or straight sweetener to chase it down between sips. Take it to your bedside if you wish. Get it down within five minutes (15 minutes for very elderly or weak persons). If you had difficulty getting stones out in the past, add 1/2 tsp citric acid to the potion. You may put it in capsules. Lie down immediately. You might fail to get stones out if you don't. The sooner you lie down the more stones you will get out. Be ready for bed ahead of time. Don't clean up the kitchen. As soon as the drink is down, walk to your bed and lie down flat on your back with your head up high on the pillow. Try to think about what is happening in the liver. Try to keep perfectly still for at least 20 minutes. You may feel a train of stones traveling along the bile ducts like marbles. There is no pain because the bile duct valves are open (thank you, Epsom salts!) Go to sleep; you may fail to get stones out if you don't. Next morning. Upon awakening, take your third dose of Epsom salts. If you have indigestion or nausea, wait until it is gone before drinking the Epsom salts. You may go back to bed. Don't take this potion before 6:00 A.M.
After 2 More Hours. You may eat. Start with fruit juice. You may add another 1/2 tsp. citric acid to it (or capsules) and get even more stones. Half an hour later eat fruit. One hour later you may eat regular food but keep it light. During the day take the parasite killing herbs and zap. By supper you should feel recovered. ALTERNATIVE SCHEDULE 1: Omit the first Epsom salts dose at 6:00 P.M. Take only one dose, waiting until 8:00 P.M. Change nothing else. Many people still get stones with one less dose. If you do not, do the full course next time. ALTERNATIVE SCHEDULE 2: Add 1/2 tsp citric acid to the oil-grapefruit mixture. Stir until dissolved. Next morning, add 1/2 tsp.citric acid again to the first fruit juice you drink when done with Epsom salts. ALTERNATIVE SCHEDULE 3: For brain and spinal cord cancers. caffeic acid is the antigen to be avoided. This includes grapefruit. Blend whole apples instead. Red or Golden Delicious. Strain to get 1/2 cup juice. Add 1/2 tsp. citric acid to oil -juice mixture. IF YOU DON'T GET STONES: Use slightly less than 3/4 cup water for each Epsom salts dose, such as 5/8 or 2/3 cup. How well did you do? Expect diarrhea in the morning. This is desirable. Use a flashlight to look for gallstones in the toilet with the bowel movement. Look for the green kind since this is proof that they are genuine gallstones, not food residue. Only bile, from the liver, is pea green. ... Count them all roughly, whether tan or green. You will need a total 2000 stones before the liver is clean enough to rid you of allergies or bursitis or upper back pains permanently. The first cleanse may rid you of them for a few days, but as the stones from the rear travel forward, they give you the same symptoms again. You may repeat cleanses at two-week intervals. Never cleanse when you ill.... Sometimes the bile ducts are full of cholesterol crystals that did not form into round stones. They appear as 'chaff' floating on top of the toilet bowel water. It may be tan colored, harboring millions of tiny white crystals. Cleansing this chaff is just as important as purging stones.